View details about the Whitby registration office at Farndale House. 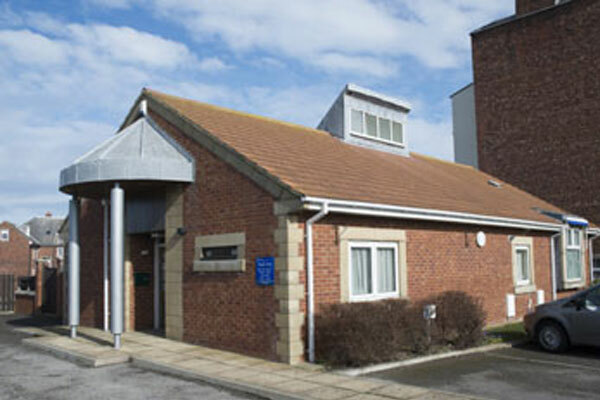 Parking is excellent around the office as we are situated in a large pay and display car park - West Cliff car park. Please follow the signs for West Cliff car park or West Cliff and drive into the car park. If you use the postcode above for your sat-nav, it brings you to Church Square but there is no vehicle access from Church Square to the car park. Our purpose built register office in Whitby is situated on the historic West Cliff of the town with an excellent view over to the sea. The dedicated ceremony room can comfortably seat 40 guests and there is also a conservatory available for use after the ceremony. The conservatory is also available for smaller ceremony parties. There is a patio area which offers excellent possibilities for photographs and do feel free to throw your bio-degradable confetti in the patio area. There is a dedicated parking space for your wedding car and some parking on site for your guests. Parking is excellent around the office as we are situated in a large pay and display car park - West Cliff car park. Please follow the signs for West Cliff car park or West Cliff and drive into the car park. If you use the post code above for your sat-nav, it brings you to Church Square but there is no vehicle access from Church Square to the car park.